After the breakthrough success of Siamese Dream the Smashing Pumpkins needed a way to bridge the gap while they prepared their massive landmark follow-up Mellon Collie & the Infinite Sadness. 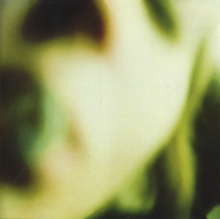 That stop-gap came in the form of the 1994 odds & sods release Pisces Iscariot, which itself went platinum. Now the band has revisited that compilation with the release of a multi-disc deluxe edition of the album. It's an impressive set. Aside from the original album, there's a second disc of 17 previously unreleased tracks or alternate versions. A DVD features live performances, running from a 1988 cable access show to the 1994 Lollapalooze. There's even a rendition of Steve Miller's "The Joker". There's even a cassette that holds Smashing Pumpkins first 6-song demo EP. Since more than a million people bought the original album, for this I'll focus on the previously unavailable material on the second disc. The first number of tracks are culled from the band's Ignoffo sessions. These show a far thinner sound to the band. The opener, "By June" is a simple, pleasantly strummed acoustic number. It's odd to listen to "My Dahlia", where the band sound like an R.E.M.-style college rock outfit, with Billy Corgan's unmistakable vocals on top. The bottom end starts to develop a rumble on the slightly more ethereal "Jesus Loves His Babies". From the Gish sessions we get "Crawl". The bongos, strum, and the fact that it takes six minutes to go nowhere make it comparable to early I Mother Earth. That session also yields "Purr Snickety" a melodic track with an almost sheepish Corgan. "Slunk" is the sound of the Smashing Pumpkins we are used to hearing. The relentless and incendiary track blazes in the tradition of "I Am One". One of the reworked tracks is "Glynis". We've heard the song before as part of the No Alternative benefit compilation. This remix is tinnier and less lovely than the previous version. A number of covers are found here as well. The stab at Neil Young's "Cinnamon Girl" is fairly true to the original. The live rendition of the Velvet Underground's "Venus In Furs" suffers from a hollow recording. Of them all, "Jackie Blue" is the one that Smashing Pumpkins truly make their own. The album's standout comes in the form of "Blissed". The song is a drowsy lament, which features an engaging twangy guitar line that makes you wonder about all of the unexplored possibilities of the band. The disc wraps up with the somewhat self-indulgent instrumental opus "Why Am I So Tired?". The studio demo squeals and drones on for over 15 minutes, demonstrating why it was relegated to the cutting room floor the first time around. Of course the box includes other sweeteners, like a set of (sometimes creepy looking) postcards, and liner notes annotated by Corgan himself. Like any compilation album amassed from old demos and outtakes the quality is hit and miss. However, a masterful job has been done in telling the story of the Smashing Pumpkins' evolution as a band. Best tracks: "Blissed", "Jesus Loves His Babies"